After both Future and Young Thug reached new artistic peaks in 2015, shared collaborator Metro Boomin inadvertently pitted the two against one another through a series of tweets praising the former's now-legendary run of mixtapes that year. Though it seemed like the two would never come together, the beef was squashed late last year to make way for features, name-drops and photo ops. Earlier this year, Future found his way back towards his own R&B-leaning introspection with HNDRXX, while Thug found a myriad of weird and wonderful ways to warp melody with Beautiful Thugger Girls. 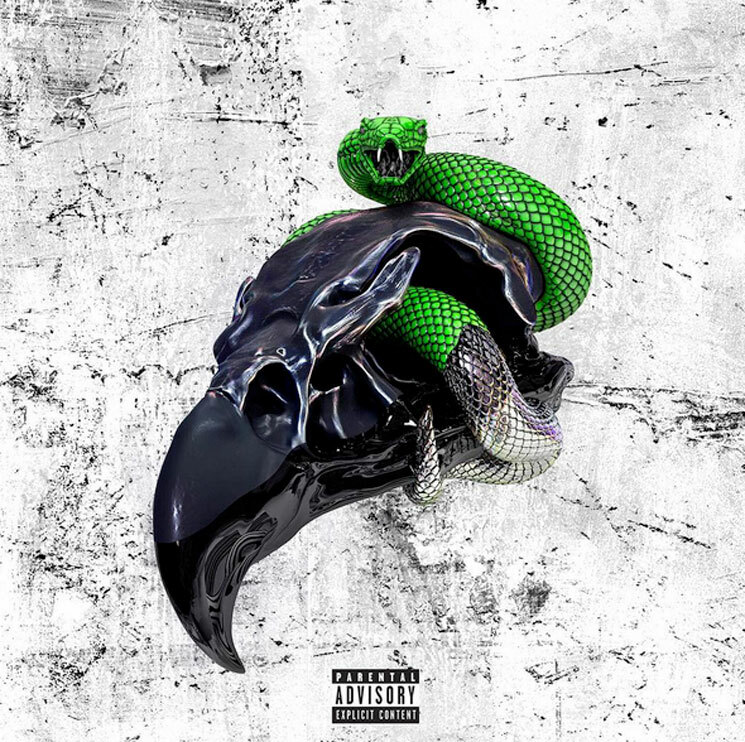 By comparison, SUPER SLIMEY doesn't find either artist coming close to the level of creativity explored on the aforementioned projects; it's short on surprises, with Thug still bending words at will and Future firmly planted in the trap. Similar to how Drake and Future on What a Time to Be Alive, the two collaborators have trouble finding common ground here. They're equally impressive in their own right — Future feeds his codeine paranoia on "Feed Me Dope" and gravelly closer "Group Home," while Thug jovially rides the peaks and valleys of the booming, ebullient "Cruise Ship" before crooning over the Biggie-interpolating guitars of "Killed Before" — but they rarely connect, and when they try on each other's styles, it's awkward.